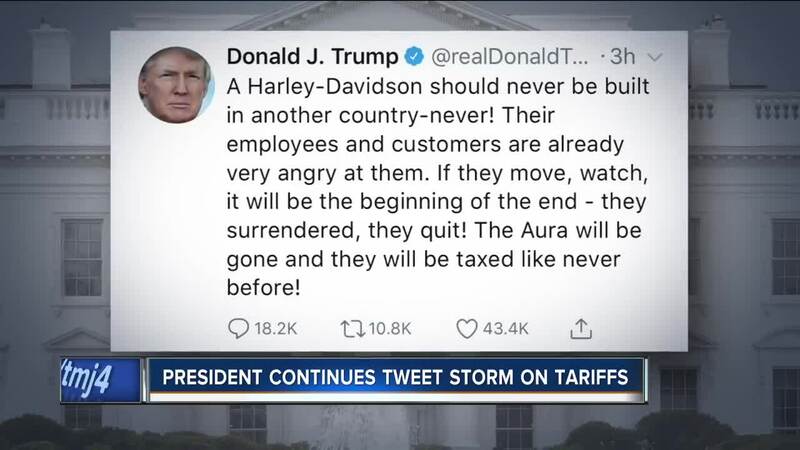 Days after Harley-Davidson announced it's moving some production of its bikes abroad in response to higher European Union trade tariffs, President Donald Trump, took to Twitter, calling out the Milwaukee-based company. TODAY’S TMJ4 spoke with Milwaukee Mayor Tom Barrett about the tweets. “Unfortunately, it is caught up in the madness that Donald Trump has created and clearly Donald Trump is trying to deflect the blame of his actions into this company,” said Barrett. 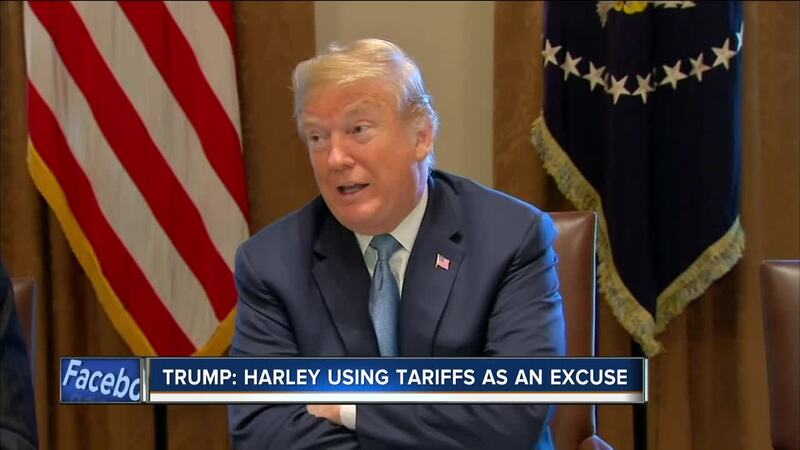 Barrett is worried about the economic ramifications Harley’s business move might have but said the company is in a tough position considering its facing costly retaliatory EU trade tariffs. “Here, they provide a lot of jobs, they provide a lot of family, supporting jobs, and I want those family supporting jobs to continue,” Barrett said. Department of Economics Chair at Marquette University, Joseph Daniels, said the President’s initial Harley tweet caused the stocks to drop about two percent. They did rebound, but he said there’s a lot at stake economically, even if you’re not a Harley rider. “When those stock prices go down, it hurts shareholders too and so it’s important to remember those shareholders are employees, it’s you and me, people who have a pension fund, we all feel it,” said Daniels. Harley-Davidson declined an interview with TODAY’s TMJ4.